Most often, mid-range products are the best selling TVs on the market. This is because they can be reached either from below or above, people with less budget would upgrade their entertainment screen to a mid-ranger while price-conscious uptown people tend to choose them to avoid an overkill purchase. Now, we are going to compare two best-selling 55-inch Smart TVs. One is Samsung’s ace card in the middle-class market, UN55JU7100, while the other is Sony’s XBR55X850C. We will see which one is better. In terms of picture quality, they have their own share of plus and minus. Sony XBR55X850C uses the usual Sony technologies, 4K X-Reality Pro in combination with Triluminos Display, while Samsung continues using UHD Dimming, PurColor, and Peak Illuminator on UN55JU7100. The Sony Smart TV can provide the better black and grayscale quality between the two. Sony XBR55X850C gives excellent performance in side viewing – image contrast doesn’t degrade too significantly until 30 degrees off the center. Meanwhile, Samsung UN55JU7100 is superior in terms of picture brightness and clarity. Last year, Sony products had the best 4K up-scaling engine. Even until now, Sony XBR55X850C is still delivering the best near-4K display on low-resolution sources. Though, Samsung UN55JU7100 has narrowed the gap significantly. The Sony product, however, is also able to separate background music and effects with characters’ voice, thus capable of producing clear and natural voice in good range. While they both support 3D view, Samsung UN55JU7100 comes with the glasses while Sony XBR55X850C doesn’t. In normal prices, Sony XBR55X850C is more expensive than Samsung UN55JU7100. 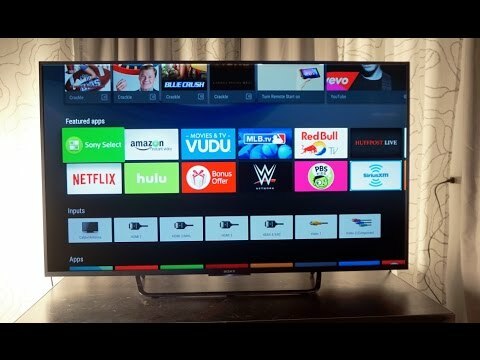 But, considering the advantages it provides, along with its access to many apps in Playstore (it uses Android platform while the Samsung Smart TV planted a Tizen-based OS), Sony XBR55X850C is still a considerable option. It is definitely the way to go if there is a discount on it.